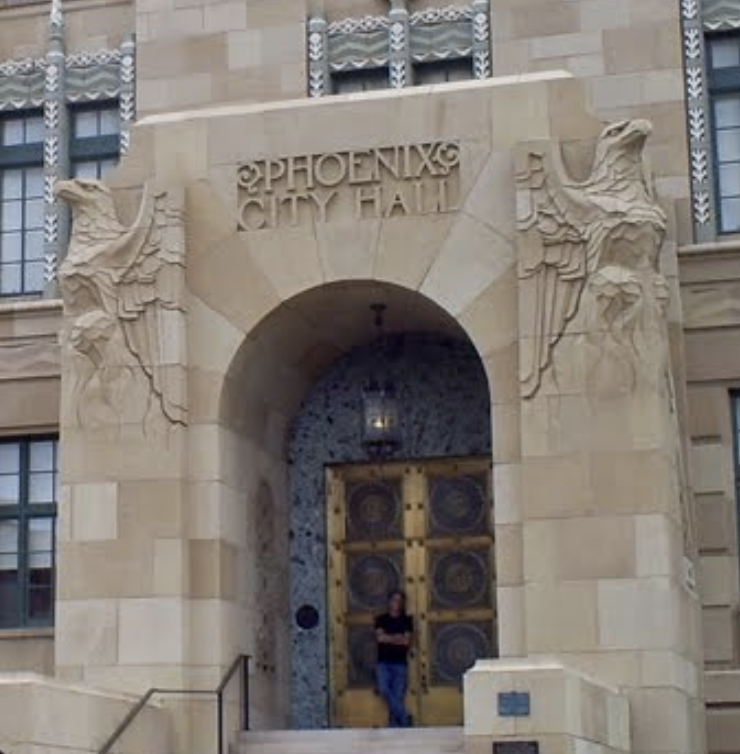 I've been doing history adventuring around Phoenix for many years now, and plan on doing it forever. And while it's my name and face that you see mostly, I'm not doing this alone, this is a team effort. 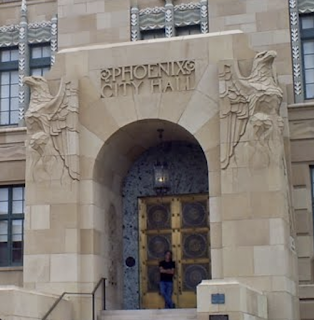 I call my team PhDs, which means Phoenix History Detectives. And even though the people on my team do most of the work, I take all of the credit, and as necessary, blame. But if you're new to the team, which means that you're just discovering history adventuring, this may seem a bit puzzling. I'll see if I can explain. I'm a visual person. I've spent all of my adult life as a graphic designer and illustrator. So basically I'm a Photoshop guy. And the images that I find I optimize in Photoshop (which just means to make them as clear and sharp as possible) and then I look at them. When I look at them, I imagine that I could actually go there, in time and space. And that's where my team comes in. Because, as have probably figured out by now, I'm really not all that good with "left brain" stuff. I can do a bit of research, but mine is mostly just stumbling on things. The serious brainwork is done by people with serious brains, and that just might be you. I have the brain of an artist, and a bit of a computer nerd, but that's it. I save and name the files, upload them to a server, and handle the computer-nerd stuff. I have the Adobe Creative Suite, and I maintain the website that I've had since 1999, BradHallArt.com . By the way, in case you're wondering what the reward is for all of the work that my team and I do, it's just doing more of it. I just love this, and I want to continue doing this for the rest of my life. And each new image I find opens up thousands of new questions that I want to explore. And I don't want just "back in the day" or some vague idea of where a photo was shot, I want to know as precisely as possible, so I can visit there in my imagination, and maybe even IRL (In Real Life). And that's it. So whether you're new to history adventuring, or have been with me since before Arizona turned 100, I'm glad you're here. I have a lot of fun with this, and I couldn't do it without you. Photo at the top of this post: Me standing in the doorway of Historic City Hall, photo by one of my top PhDs, Mick Welsh. Thanks, Mick!